Wild Child. Photo courtesy of the band. 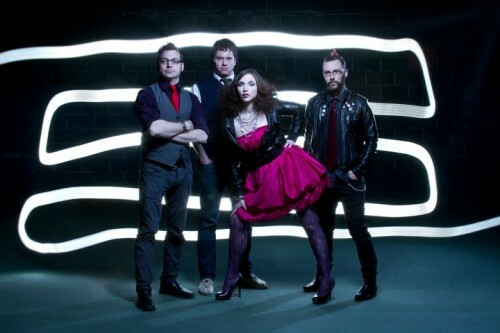 We Love DC is giving one lucky reader a pair of tickets to see Wild Child at The Hamilton on Tuesday, June 25. The 2013 Austin Music Award winners for Best Indie Band and Best Folk Band join together with Shakey Graves and Marmalakes to showcase Austin’s finest in their final performance on The Outside City Limits Tour. Here are the rules: leave a comment on this post with a valid e-mail address (only one entry per e-mail, please) between 11am today and 9am tomorrow. Comments for the giveaway will close after 9am Tuesday, June 25. All comments will be appreciated, but only one comment will be randomly selected. The winner will be notified by e-mail. The winner must respond to our email within two hours or they will forfeit their tickets and we will pick another winner. The winner will be on the guest list (plus one) at The Hamilton the night of the concert. The tickets must be claimed with a valid ID. The winner must be old enough to attend the specific concert or must be accompanied by a parent or guardian if he/she is under 18 years old. I had a chance to talk to Wild Child in advance of the show, and to me, this band is a simple reminder that fancy has nothing to do with the finer things in life. They’re about loved ones, dogs, and favorite tacos. They value the haze of lazy days. They are grateful for summer house parties. They appreciate above average pizza. Basically, they’re just like us, except way more talented and play great live shows. Formerly consisting of acoustic duo Kelsey Wilson and Alexander Beggins, Wild Child wistfully strummed the enchanting vulnerability of a rocky relationship into their 2010 album “Pillow Talk.” Now armed with keys, drums, and strings, the band has evolved into a seven-piece indie-folk powerhouse with harmonious surprises up its sleeve. Tickets for this show can also be purchased through The Hamilton’s website. 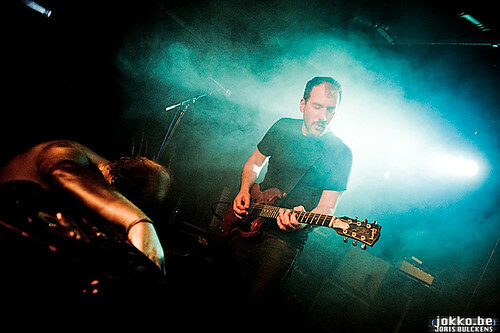 Today We Love DC is giving away a pair of tickets to see David Wax Museum at the 930 Club on Thursday, April 4th! 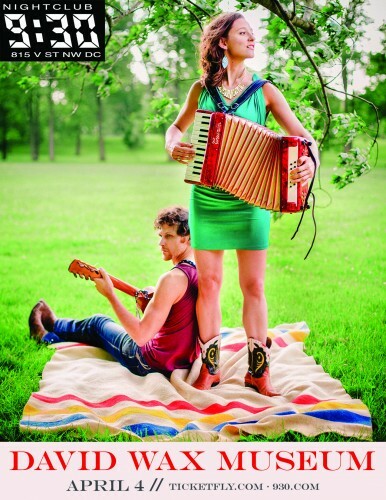 Their music blends roots-rock, Americana, folk, and Mexican influences, for a sound they call “Mexo-Americana”. Boston-based Kingsley Flood open the night! For your chance to win a pair of tickets to see David Wax Museum & Kingsley Flood, simply leave a comment on this post using a valid email address until 4pm today. One entry per email address, please. Tickets will be available to the winner at the will-call window of the 930 Club on the night of the concert. The tickets must be claimed with a valid ID. The winner must be old enough to attend the specific concert or must have a parent’s permission to enter if he/she is under 18 years old. 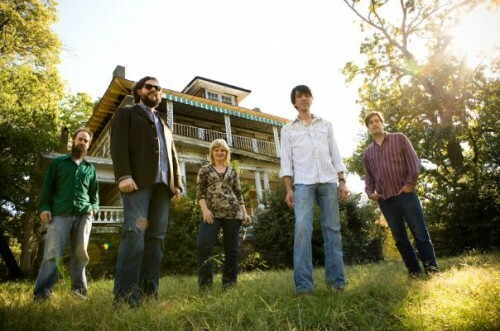 Today We Love DC is giving away a pair of tickets to see Drive By Truckers at the 930 Club on Sunday, December 30th! Drive By Truckers are playing three nights in a row at the legendary 930 club- December 29th, 30th and 31st, for three times the fun! 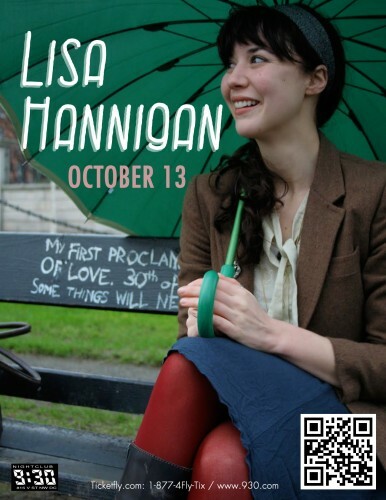 Tickets can be purchased for all three nights through Ticketfly, the 930 club website, or at the 930 club box office. For your chance to win a pair of tickets to the December 30th show, simply leave a comment on this post using a valid email address until 4pm today. One entry per email address, please. 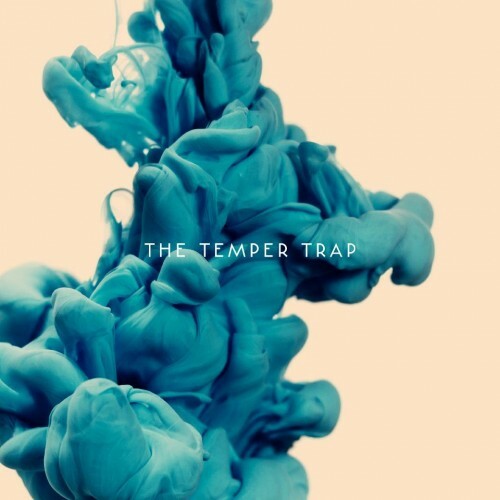 Today We Love DC is giving away a pair of tickets to see The Temper Trap at The Fillmore in Silver Spring, on Saturday, October 13th! Tickets are on sale now through the Fillmore website. For your chance to win these tickets simply leave a comment on this post using a valid email address until 4pm today. One entry per email address, please. Tickets will be available to the winner at the will-call window of The Fillmore on the night of the concert. The tickets must be claimed with a valid ID. The winner must be old enough to attend the specific concert or must have a parent’s permission to enter if he/she is under 18 years old. Today We Love DC is giving away a pair of tickets to see Dance for the Dying, Ugly Purple Sweater, and Fire and the Wheel at Red Palace, this Saturday, September 29th! 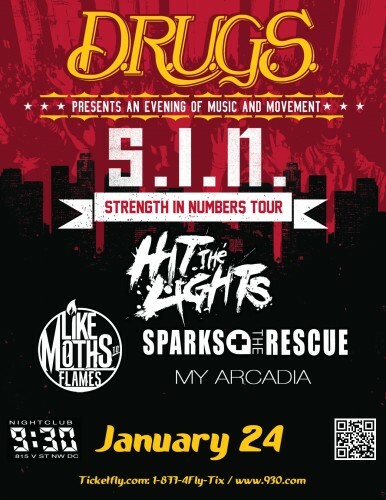 Tickets are on sale now through the Red Palace website or Ticket Alternative, and tickets can be purchased at the door. This is an EP release party for Dance for the Dying. 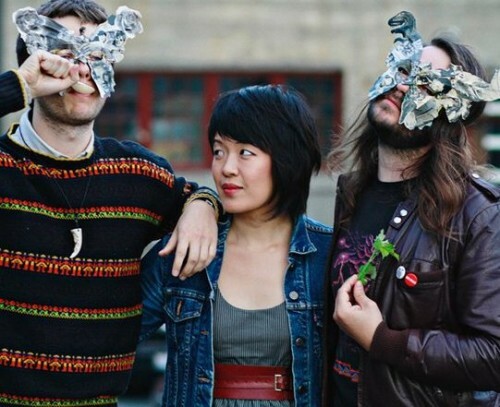 Check out Dance for the Dying’s song “Thug Love“, and Ugly Purple Sweater’s “The Water’s Edge“. The winner will be on the guest list (plus one) at Red Palace the night of the concert. The tickets must be claimed with a valid ID. The winner must be old enough to attend the specific concert or must be accompanied by a parent or guardian if he/she is under 18 years old. 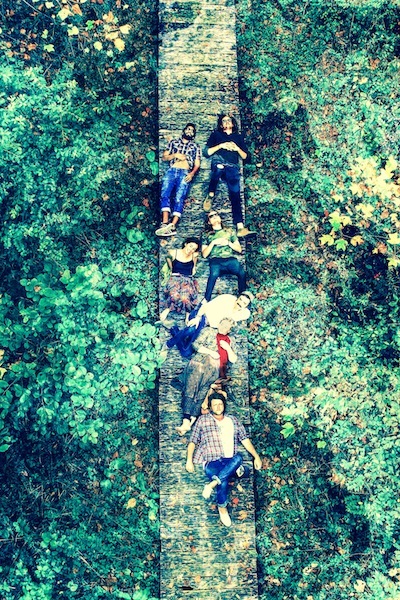 Today We Love DC is giving away a pair of tickets to see The Spring Standards at Red Palace, this Thursday, September 20th! Tickets are on sale now through the Red Palace website or Ticket Alternative, and tickets can be purchased at the door. 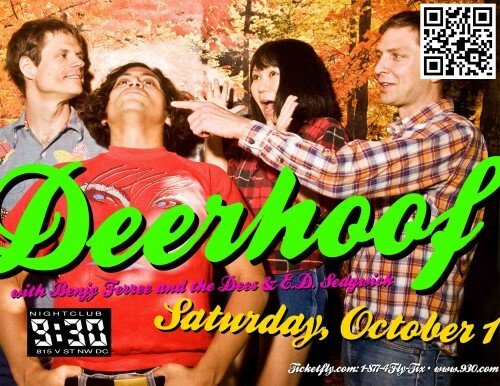 Their sound is sometimes folk, sometimes indie-pop, Americana leaning, with a definite country flair at times. 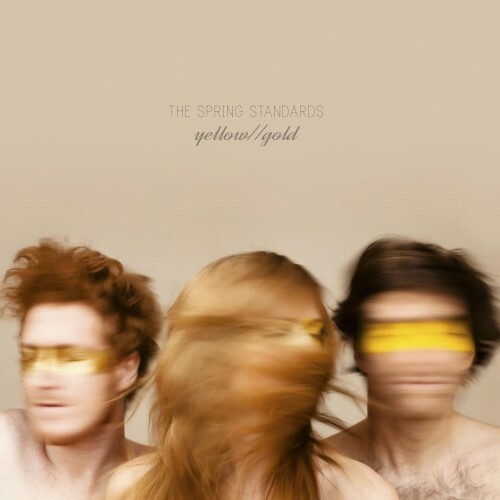 This year, they released a double EP titled yellow//gold. Check out these videos for a taste of their range of sound, from the indie-pop-rock “Here We Go“, the country/bluegrass flair of “The Hush” , and folk loveliness of “Bells & Whistles”. 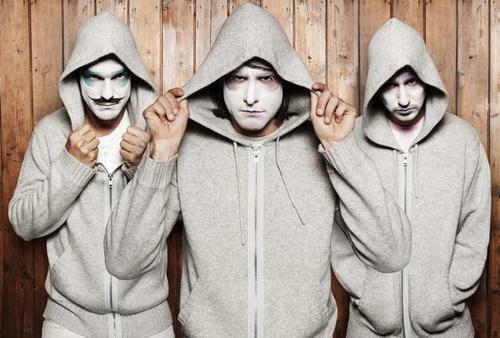 Today We Love DC is giving away a pair of tickets to see Swedish indie-pop band Miike Snow at 930 Club, for the late show on Wednesday, October 24th! Tickets are on sale now through the 930 Club website, Ticketfly, or at the 930 Club box office. We Love DC is giving away a pair of tickets today to see Green Day at the Patriot Center before you can buy them! 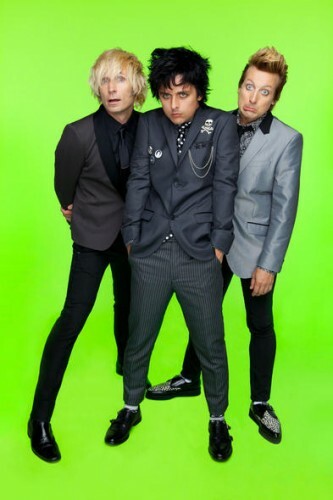 Green Day will be playing George Mason’s Patriot Center on Monday, January 21st. Tickets go on sale this Saturday, September 15th at 10am here. You can also purchase tickets in person at the box office of the Patriot Center or the 9:30 club. Tickets will be available to the winner at the will-call window at the Patriot Center on the night of the concert. The tickets must be claimed with a valid ID. The winner must be old enough to attend the specific concert or must have a parent’s permission to enter if he/she is under 18 years old. Today we are giving away a pair of tickets to see country music stars Rascal Flatts, along with Little Big Town and Kristen Kelly at Merriweather Post Pavilion on Sunday, September 2nd! 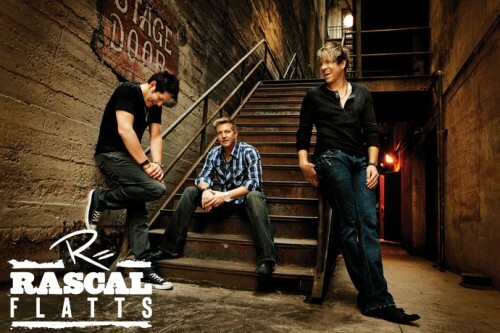 Rascal Flatts are on tour in support of their new album, Changed, which was released in April. Tickets will be available to the winner at the will-call window at Merriweather Post Pavilion one hour before doors open on the night of the concert. The tickets must be claimed with a valid ID. The winner must be old enough to attend the specific concert or must have a parent’s permission to enter if he/she is under 18 years old. Today we are giving away a pair of tickets to Pauly Shore‘s Pauly-tics, at 930 Club on Saturday, June 30th! Pauly-tics is a Showtime special that will air in the fall, that stars Pauly Shore in a live stand-up performance with other political comedians and celebrities. The show will include a live DJ, Shore, & other comics performing political comedy. For your chance to win these tickets simply leave a comment on this post using a valid email address between 10am and 4pm today. One entry per email address, please. For your chance to win these tickets simply leave a comment on this post using a valid email address between 10:30am and 4pm today. One entry per email address, please. The winner will be on the guest list at Comet Ping Pong. The tickets must be claimed with a valid ID. This is an all-ages show! 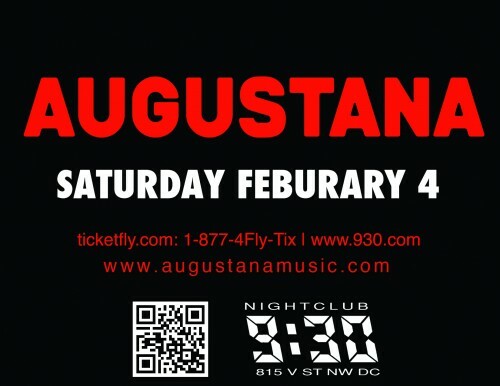 This week we are giving away a pair of tickets to see Augustana at the 9:30 Club on February 4. Tickets for this concert are available on Ticketfly or at the 9:30 Club box office. For your chance to win these tickets simply leave a comment on this post using a valid email address by 5pm today. One entry per email address, please. Comments will be closed at 5pm and a winner will be randomly selected. The winner will be notified by email. The winner must respond to our email within two hours or they will forfeit their tickets and we will pick another winner. 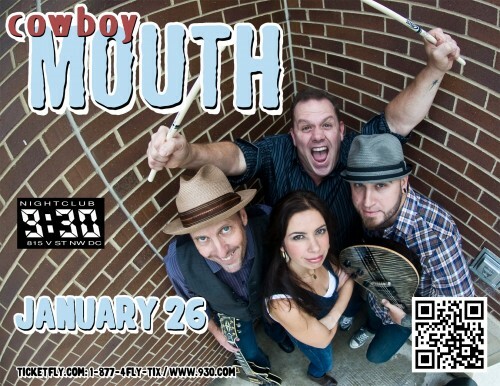 This week we are giving away a pair of tickets to see Cowboy Mouth at the 9:30 Club on January 26. 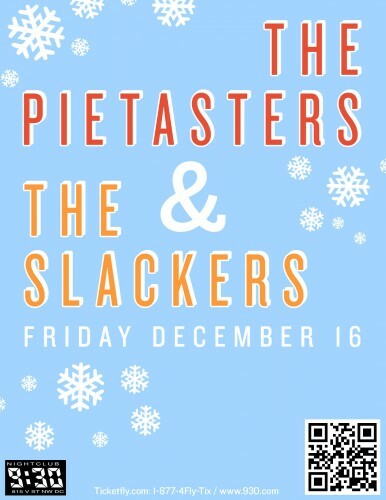 Tickets for this concert are available on Ticketfly or at the 9:30 Club box office. This week we are giving away a pair of tickets to see D.R.U.G.S. at the 9:30 Club on January 24. Tickets for this concert are available on Ticketfly or at the 9:30 Club box office. 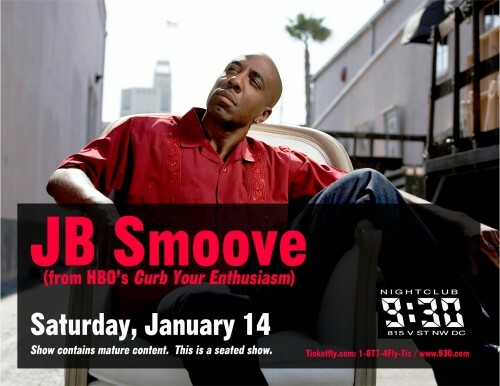 This week we are giving away a pair of tickets to see JB Smoove at the 9:30 Club on January 14. (Please note: This is a seated comedy performance and does contain material suitable only for mature audiences.) Tickets for this concert are available on Ticketfly or at the 9:30 Club box office. 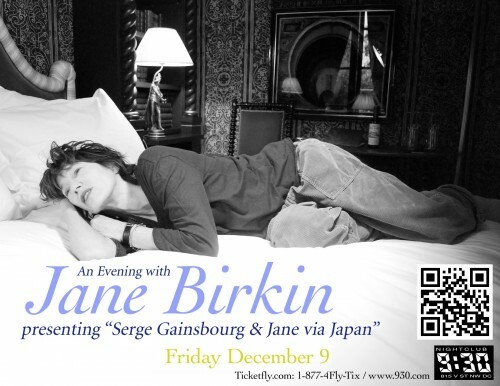 This week we are giving away a pair of tickets to see Jane Birkin at the 9:30 Club on December 9th. Tickets for this concert are available on Ticketfly or at the 9:30 Club box office.